Valid only at Doschel Lexus. May not be combined with any other offer. Please present coupon when service order is written. Service includes: Change engine oil, replace oil filter, perform multi-point inspection, exterior wash. Up to 5 Quarts. 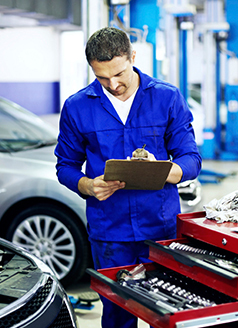 WHY SERVICE AT Dorschel Lexus? Dorschel Lexus is known for providing exceptional service in the Rochester area. You can feel rest assured knowing that your vehicle is in the hands of our Lexus Factory-Trained Technicians. We understand that maintaining the best level of performance, safety, reliability and resale value are important. That is why we only use Genuine Lexus Parts guaranteed the exact fit and finish. Dorschel Lexus is conveniently located in Rochester. Schedule your next service appointment with Dorschel Lexus today!